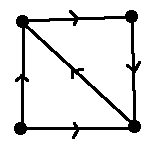 Definition: For a digraph $G = (V(G), E(G))$, a Subdigraph of $G$ is a digraph whose vertices and arcs are also $G$. 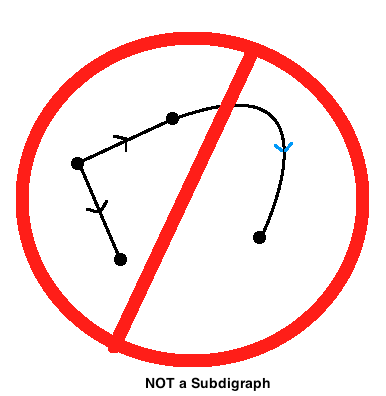 Is NOT a subdigraph of the first graph, as the direction of one of the arcs (the blue one) is not the same as the original graph. 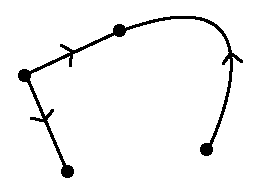 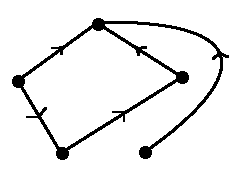 Definition: For a digraph $G = (V(G), E(G))$, the Underlying Graph of $G$ is the undirected graph created using all of the vertices in $V(G)$, and replacing all arcs in $E(G)$ with undirected edges.